There are password managers available for most of the popular browsers like firefox password manager and chrome password manager. Which is the best password manager to use is one of the confusing question. 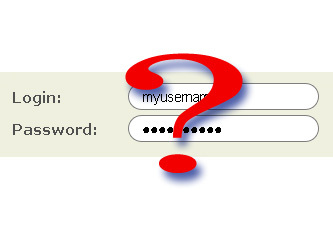 If you have login access to multiple sites , you need to remember many user names and passwords. It is a common tendency that you may use common words that is easier to remember as passwords. This will make your credentials weak and insecure. If you software applications that store passwords in unencrypted form in your computer, malware and spyware applications can easily access them. To avoid this there are many password manager applications available as freeware as well as shareware. Today we discuss about a popular password manager LastPass which securely stores all your user names and passwords. LastPass is a free online password manager and form filler that makes web browsing easier and more secure. With LastPass all you need to remember is a master password. LastPass stores passwords in encrypted form and you can use a master password for all those passwords. That means you need to remember only one password that is the master password. Your master password never leaves your computer. LastPass also helps you to pick good passwords, and allows you to share sites between your home PC or Mac and PC at work. You need to sign-up for a free LastPass account. After you sign up the LastPass extension asks if you want it to save usernames and passwords for every site you log into. You can configure a master password ,which is required log in to any websites. You can also set as automatic login to sites without using a master password. But this is less secure because setting up a master password for all the passwords gives you more protection. Remember your master password never leaves your computer. LastPass allows you to stay synchronized and you’ll have access to all your sites and can add new passwords that will be available on all your computers. You can install the browser plugins from here. The Universal Windows installer installs browser extensions for Internet Explorer, Firefox, and Chrome and also allows to create a LastPass account and import your existing passwords. There are plugins available for all major browsers and platform. I've been using lastpass for almost two years and still have not been able to synch between my home and work computers. Maybe it's the server on the work computer or the firewall they have on it or something but I'm seriously looking for another password manager.